Most marketers know that developing landing pages specific to each ad campaign is a very good idea. By customizing text, calls-to-action, and even imagery and forms to inbound marketing programs, things like conversion rates and quality scores usually go up. Want to optimize your lead gen efforts? 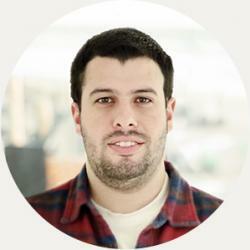 Start by optimizing your landing pages. But after that, what do you do next? “Next” is marketing attribution. Historically a mysterious and dark science, marketing attribution has finally moved into the mainstream and is accessible technology for any marketer. The premise is simple: tell me which marketing campaign is truly driving conversions on my landing pages. We all know about click-through rates, and we all know about conversion rates. But connecting the dots between the two isn’t as obvious. Marketing attribution platforms track visitors to your website and know exactly where they came from. Maybe someone clicked on a Facebook ad… or maybe they did a search and found you organically. Maybe… they did both. Attribution models give “credit” to the marketing campaigns that appear in the customer’s journey to help you better understand which ones result in conversions, and importantly, which ones do not. Even if you’re just starting out and not doing very much or any paid advertising, marketing attribution will give you deeper insights into sources of conversions from search, direct visitors, referred visits, and even email click-throughs. Attribution tools can tell you which days of the week are better for conversions and which combination of sources are commonly seen. You can see the effects of seasonality and look at trends over time. Once you start working with attribution, you’ll wonder how you ever optimized your lead gen without it! Thanks to our new integration with LeadsRx you can now add marketing attribution to your arsenal of tools along with great technologies for building and optimizing landing pages. Getting new customers is hard work… attribution will get you headed in the right direction from the start. We have realized that our users want more insights into campaigns however there is also trepidation when they peer into Google Analytics data. We think LeadsRx is perfect for marketers to get a quick snapshot of their marketing campaign performance. The data is presented clearly and with graphs for those all important Analytics dashboards for the marketing organization. Our goal is to empower marketers to make the right calls at the right time. This is the perfect fit for the web analytics jigsaw puzzle. LanderApp is now integrated with LeadsRx. LeadsRx is a powerful, easy to use analytics tool that helps you get the most out of your marketing channels. It enables you get to the bottom of your marketing campaigns in one overall look with the Marketing Grader. Let’s take a look to each part of the report. How do I see my Advertising Report? To get into your Advertising Report; Log into your account, once you’ve arrived at the overall view of your account, you’ll see the link on the right section below the search bar. 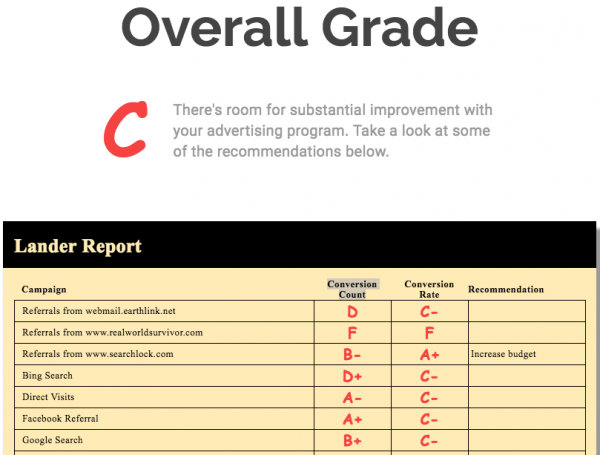 Click there and you’ll be redirected to your Advertising Report. What Information Does the Advertising Report Give? Let’s take a dive into all the information part by part! Here you’ll see how each of your marketing channels are performing and converting. You’ll see your overall results and the performance of each channel. That’s not all, you’ll also see a recommendation for each channel. This is where you will see marketing actions that are not performing, so you can decide to stop spending your money and time on those actions. 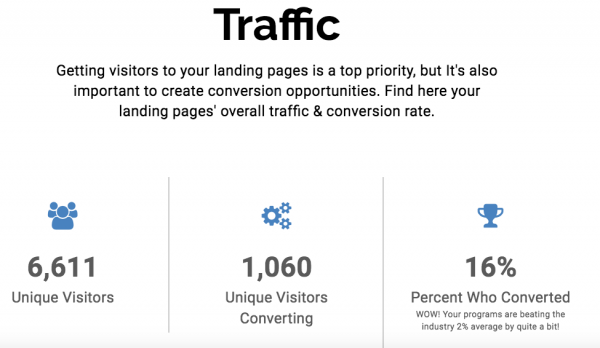 This section is where you will be able to see the overall performance of your Lander account, i.e the traffic and conversions of all your landing pages. 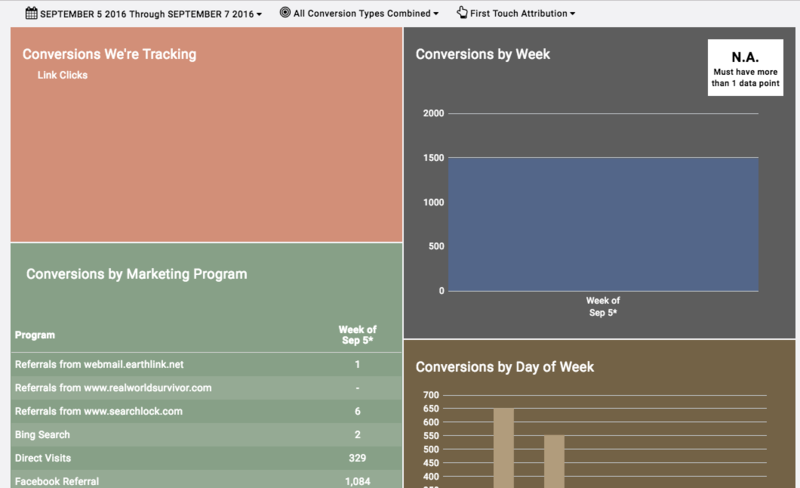 Finally in the last section called Conversions, you are able to see your conversions divided by Type, Day, Week and Marketing Program. When Does the Advertising Report Start Working? The report starts working from the day you get your first visit, and will always gather information until the day before you check the report. Keep in mind that the report will show you information up to six weeks prior. Is This a Substitute for Google Analytics? Not really, Lander integrates with your Google Analytics account too. Use both Google Analytics and LeadsRx to determine the efficacy of your marketing campaigns. Lander’s click tracking and lead capture will continue to work independently of LeadsRx too. How Current is the LeadsRx Data? We’ve set the LeadsRx dashboard to update once a day. The results are not real time, typically the data you see is from the previous day. Lander’s click tracking and lead capture continues to be updated in real time. If you want to start getting the most of your paid marketing programs then we suggest you in case you still don't have your Lander account, to create one for free here!